Apple has released iOS 12.1.3 for iPhone and iPad users. The software update is a fairly minor release, including a handful of bug fixes and security enhancements to the mobile operating system. Additionally, Apple has released MacOS Mojave 10.14.3 and Security Update 2019-001 for High Sierra and Sierra, watchOS 5.1.3 for Apple Watch, tvOS 12.1.2 for Apple TV, and an update to HomePod. Those devices can update to the latest versions of system software through their respective Settings apps. 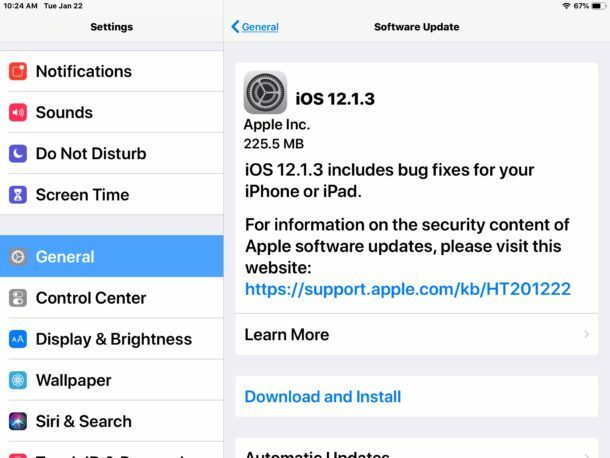 The simplest method of installing iOS 12.1.3 to iPhone or iPad is from the Software Update section of iOS Settings app. Always backup iPhone or iPad to iCloud, iTunes, or both, before beginning any iOS update. This allows for restoring should something go wrong. The iPhone or iPad will reboot to complete the installation to iOS 12.1.3. You will need adequate available storage available to install the software update. 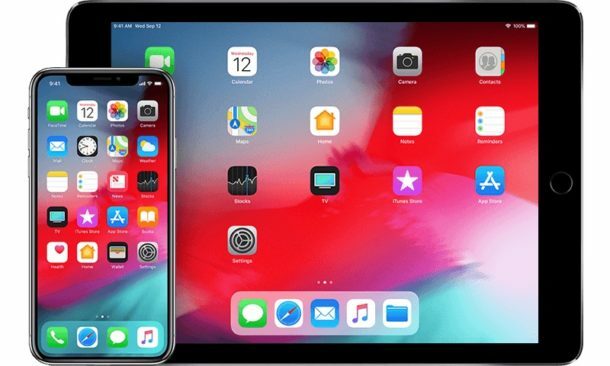 Another option is to download and install iOS 12.1.3 through iTunes on a Mac or Windows PC by connecting the iOS device to a computer running the latest version of iTunes and selecting the ‘Update’ option within iTunes. Installing iOS with IPSW files is somewhat advanced but it’s not particularly difficult. The majority of iPhone and iPad users should use the simpler update methods via Settings or iTunes however. Separately, Apple has released MacOS Mojave 10.14.3 update and security updates for Mac computers, watchOS 5.1.3 for Apple Watch and tvOS 12.1.2 for Apple TV. already the 5-th Update since I have it, 😆! Windows! The next update will be at 31.01.19!